Manchester United host Chelsea on Sunday in a fixture that’s produced its fair share of special moments down the years, moments that have been few and far between for United more recently. When Chelsea travelled to Old Trafford last April, they were sitting pretty at the top of the Premier League; 18 points clear of the Red Devils in 5th. Conte’s men suffered a 2-0 defeat that day, their final defeat of the season. Remarkably, that is United’s only win in their last ten league meetings. What is perhaps more remarkable is the Chelsea team that today, which consisted of a back three of Gary Cahill, David Luiz and Kurt Zouma. Asmir Begovic was in goal. It is likely not one of those will feature on Sunday – of course, Nemanja Matic was also auditioning for his future employers. Alvaro Morata scored the winner when the sides met earlier this year, though has struggled for form and fitness since then. While no one would question United have had the better trophy haul in the Premier League era, Chelsea have consistently been a thorn in the side of the Red Devils. The Blues actually have more wins in the fixture in the Premier League era, and have also scored more goals. There won’t be many sides that can boast reducing the Red Devils to a 36% win rate at Old Trafford either – a shockingly low return considering how dominant United have been over the last 25 years. 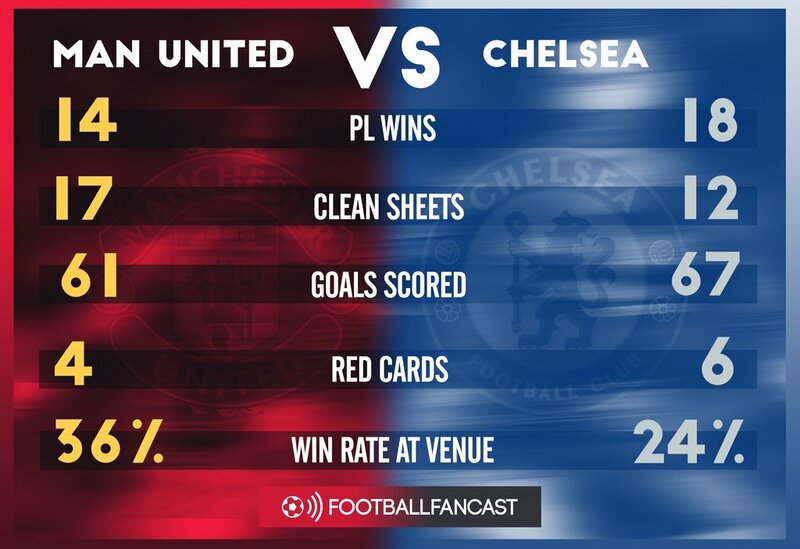 Chelsea’s last win at Old Trafford came all the way back in 2013, so there’s certainly room for optimism for United fans, but there’s no doubt who has had the better of the fixture in recent years.